New Zealander Jeremy Benton returns as overseas player, while Steve Kruger has been named coach. Harvey Wootton enjoyed a successful campaign in New Zealand, and he will be a great addition to the side, while Zuhair Shah also joins. 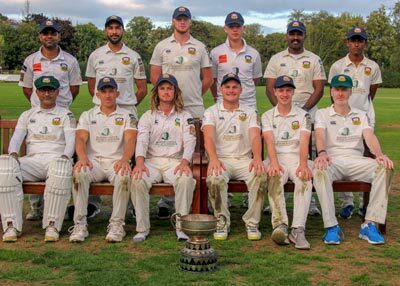 "2018 proved to be a season of mixed fortunes for the Mardyke side following a disappointing Leinster Division 2 campaign and an early exit from the Munster Senior Cup in a bowl-out, however, in contrast it also saw the club clinch its 6th Premier Division and third consecutive Senior T20 titles in Munster while also running Clontarf close in the All-Ireland T20 Semi-Final. "The squad did see several fresh faces last season so hopefully the experience will stand them in good stead for the summer ahead. "The addition of a few new players during the winter will bolster the squad even further to compete for honours in both Munster and Leinster competitions. "Jeremy Benton will be returning as our overseas player and brings with him not only great cricketing ability and leadership qualities but also a positive can-do attitude both on and off the field. "Another positive for 2019 will be addition of Steve Kruger as coach following a short spell with the club last summer. The South African, who hails from Pretoria, had an immediate impact with both adult and underage squads and should prove invaluable to improving standards and bringing through the next generation of 1st team players. "One of those youngsters making big strides is Diarmuid Carey who really stepped up last season to become a 1st team regular returning figures of 13 wickets @ 22 in Leinster Division 2 and making his Munster Reds debut in the IP20. His attitude to the game and eagerness to improve is a great example for the crop of youngster below him hoping to make that step up."